Service-centric systems pose new challenges and opportunities for requirements processes and techniques. 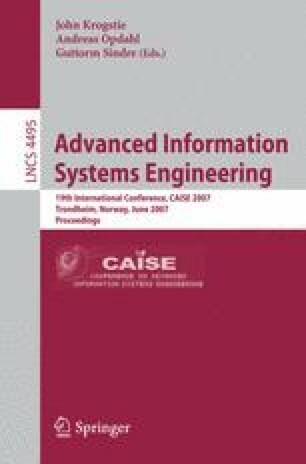 This paper reports new techniques developed by the EU-funded SeCSE Integrated Project that enable service discovery during early requirements processes and exploit discovered services to enhance requirements specifications. The paper describes the algorithm for discovering services from requirements expressed using structured natural language, and demonstrates it using an automotive example. The paper also reports a first evaluation of the utility of the environment that implements this algorithm when improving the specification of requirements with retrieved services.